If you like the idea of a Dumble-style amp with realistic power levels and a forgiving, player-friendly feel, this may be the Two-Rock for you. 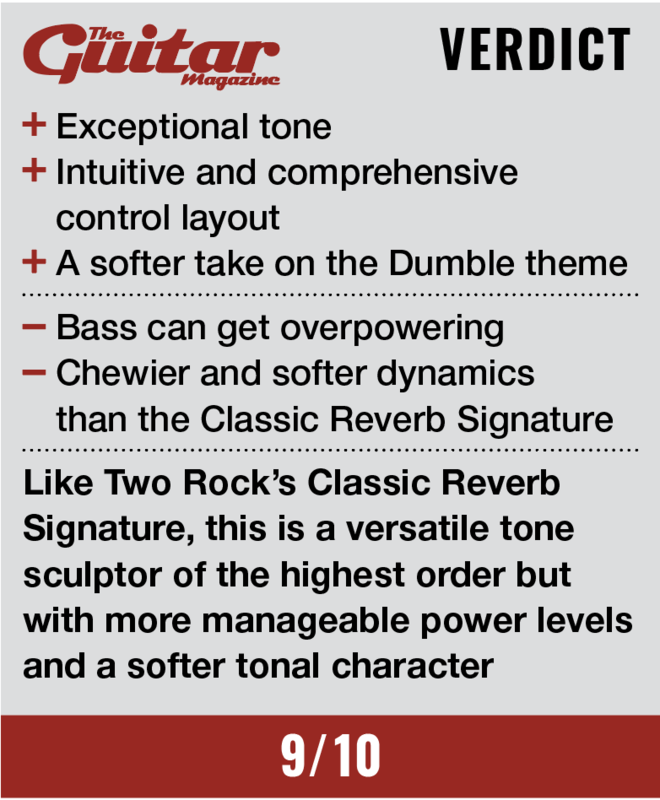 When we reviewed the Custom Reverb Signature back in 2017, it became apparent that Bill Krinard’s return coincided with Two-Rock getting its mojo back, and this fact was reinforced by the Burnside later on in the year. The Bloomfield Drive is another Dumble-inspired offering – 6L6-powered 100- and 50-watt heads are also available, but in this 40/20 combo configuration a quartet of 6V6s provides the power, with gain cascading through four 12AX7 preamp valves. Onboard there’s a WGS manufactured 12-inch ceramic speaker and a 12AT7 valve-driven spring reverb. 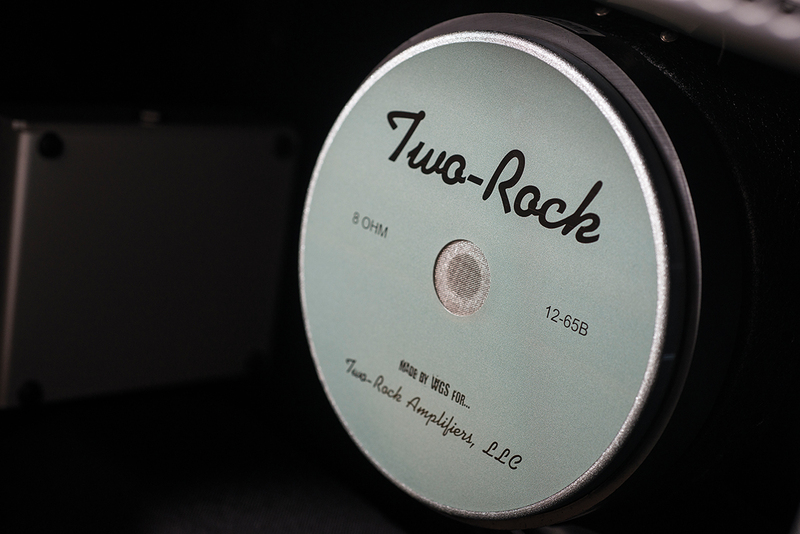 Switchable boosts are provided for bass, middle and treble, along with a tonestack bypass and a lead mode switch. A proprietary output transformer allows instantaneous power switching from the full 40 watts to 20W. As you might expect, the Bloomfield Drive is built like a tank and is cosmetically flawless in its grey and silver livery. With an amp like this it can be more informative to discuss what it doesn’t do rather than what it does – but there wouldn’t be that much to say on that score. 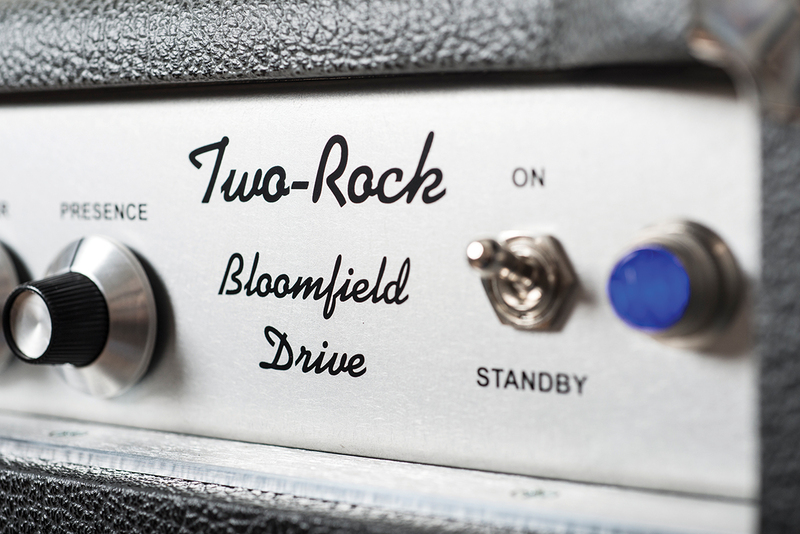 It might not be best suited to provide the extremes of deafeningly loud cleans or dark metal crunch, but the Bloomfield Drive covers a whole lot of ground in between. You might say the same about plenty of amps, but by and large ‘Swiss army knife’ amps tend only to do certain things really well. Much like the Custom Reverb Signature, the Bloomfield manages to do almost anything and everything in the most toneful and convincing manner. The cleans are shimmeringly transparent, overdrive tones are chewy and smooth while the lead tones sing with almost uncanny sustain and a total absence of fizz. Also impressive is that, while few amps with so many switching options and controls are this straightforward to operate, it’s no more difficult to dial in than a Fender Princeton. Better still, we never get the sense that we’re struggling to discern the character of our test guitar’s tonewoods and pickups through excessive and unnecessary circuitry. Rather than use high and low inputs, the Bloomfield has one jack socket with an accompanying EQ switch. In addition to providing two levels, the voicing is altered, with EQ1 being quieter, funkier and brighter, and EQ2 being louder and fuller. Two-Rock suggest matching these for humbuckers and single coils respectively, which might make sense if you’re struggling to derive clear and clean tones from ultra-hot and dark humbuckers. If however, you use more conventional pickups that conform to ‘vintage’ output levels, simply select the EQ setting that gets you closest to the particular sound you’re chasing. The three tone controls are accompanied by boost switches that operate within each frequency band. The bypass switch supposedly bypasses the tonestack, but it actually disengages the middle and bass control, while the treble and presence remain active. The effect is a gentle boost accompanied by a thickening of the midrange – more blackface to brownface than blackface to tweed. Although billed as a two-channel amp, it’s debatable whether the second channel is, in fact, the tonestack bypass or lead mode. We think the point is moot because the signal always follows more or less the same path, even with a bypass here or an added gain stage there. It could just as easily be categorised as a three-channel or even a one-channel amp, depending on how you view it. The lead switch also activates its own master level control, which allows us to match the lead/normal levels to compare the tones. 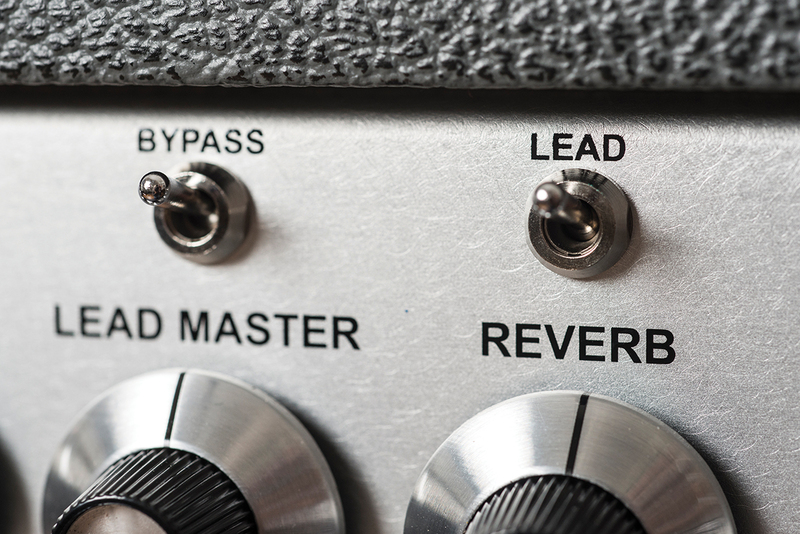 Lead mode adds brightness, especially at higher lead gain settings, while also lowering reverb in the mix. Since the likelihood is that you will want more gain and cut for soloing, this is smart stuff. The amp comes with a footswitch to activate the lead and bypass modes, so we begin by selecting our preferred input EQ and then dialling in an edge of breakup clean tone with the tonestack engaged. Two controls are provided to set the Bloomfield’s luscious spring reverb, with a level control at the front and a send level at the back. Higher send levels generate longer decay times and vice versa. Activating the boost when running clean doesn’t quite push the Bloomfield into overdrive. You do hear a little more saturation, but it’s more of a tone-changer than a game-changer. However, since the lead mode can be active irrespective of the boost setting, serious overdrive is certainly on the menu. Fortunately, the lead mode isn’t all about crass high gain. You can set the lead gain and lead master for all the shades of drive you may desire, but the best part is the way that sustain gets even longer at higher gain settings and with almost any held note, an upper harmonic swiftly drifts into the mix. Bloomfield by name and bloom by nature indeed. Clearly there are any number of ways to run the Bloomfield Drive, and you can decide which one – or more – suits you best. After hours of fun exploring the amp’s vast potential, we end up playing with lead mode permanently selected – occasionally activating the tonestack bypass simply to thicken things up when required. The fact that we can do this is testament to the Bloomfield’s extraordinary clean-up ability because it sounds just as vibrant when a guitar’s volume is backed off and you get glorious cleans without any substantial drop in level. 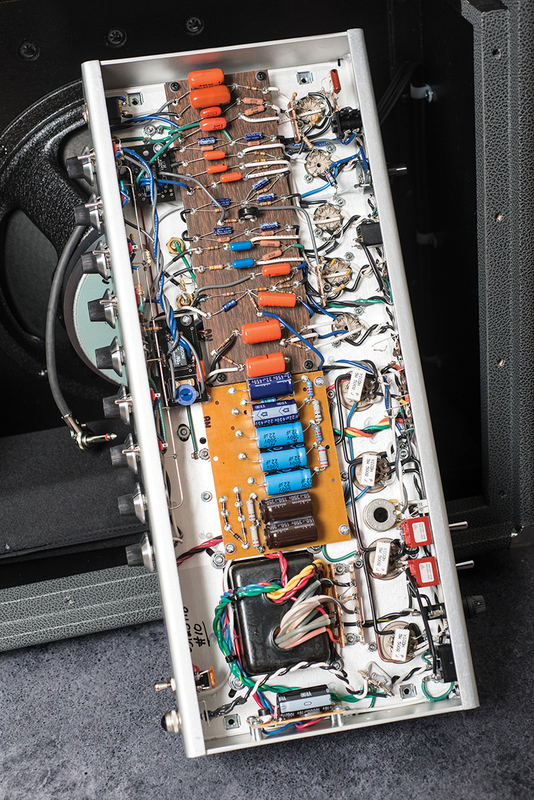 It’s also a very loud amp – so much so that the vast majority of our testing is done with half power engaged. At 20 watts the volume is only slightly reduced and we feel that the explosive dynamics and clarity are even better at full power. 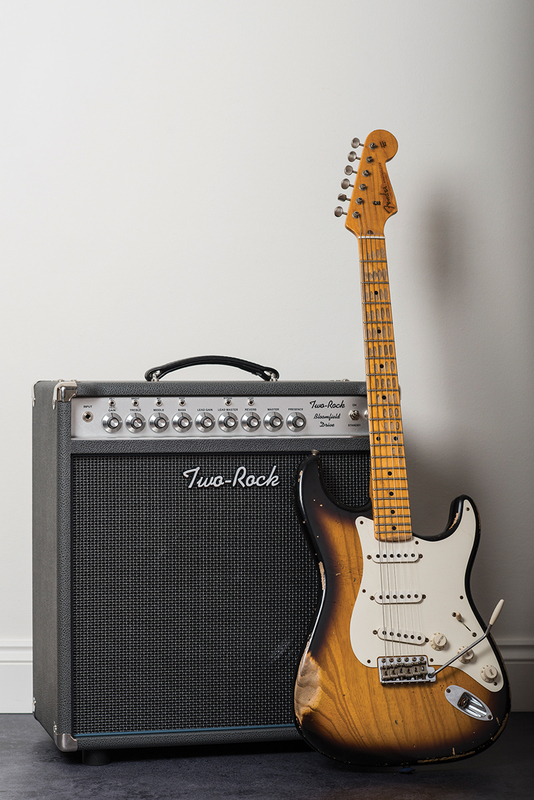 The Bloomfield’s big tone suits Strats particularly well and the sheer weight of the lows does require some bass taming with thicker sounding guitars. In 40W combo format with 6V6 valves, the Bloomfield Drive is slightly softer, warmer and less intimidating than the Classic Reverb Signature. However the punch, extraordinary touch dynamics and subtlety are equally evident and we think the reverb sounds better. 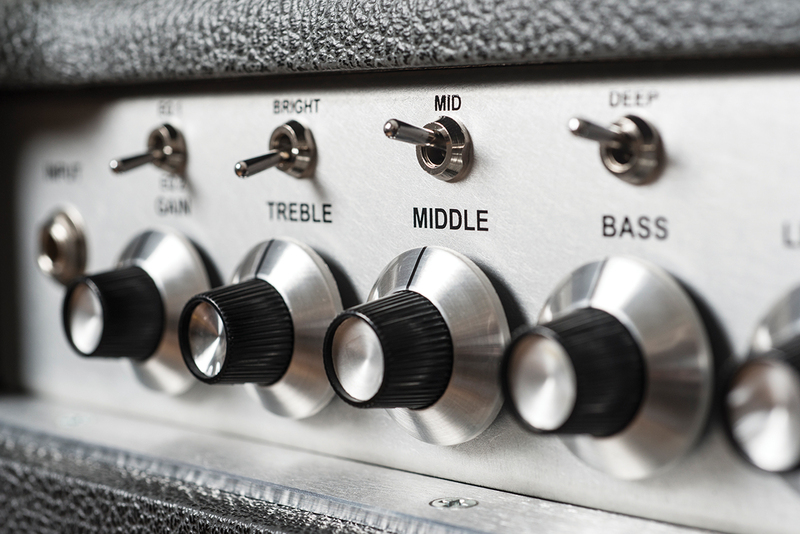 In fact we like the whole amp better… and that’s really saying something.